Dr. Mirissa J Duncil is a graduate of Ross University and owner of Pawsitive Pet Care Clinic. A Kentucky native, she moved back after marrying her husband, Miles to Sandy Hook, KY. 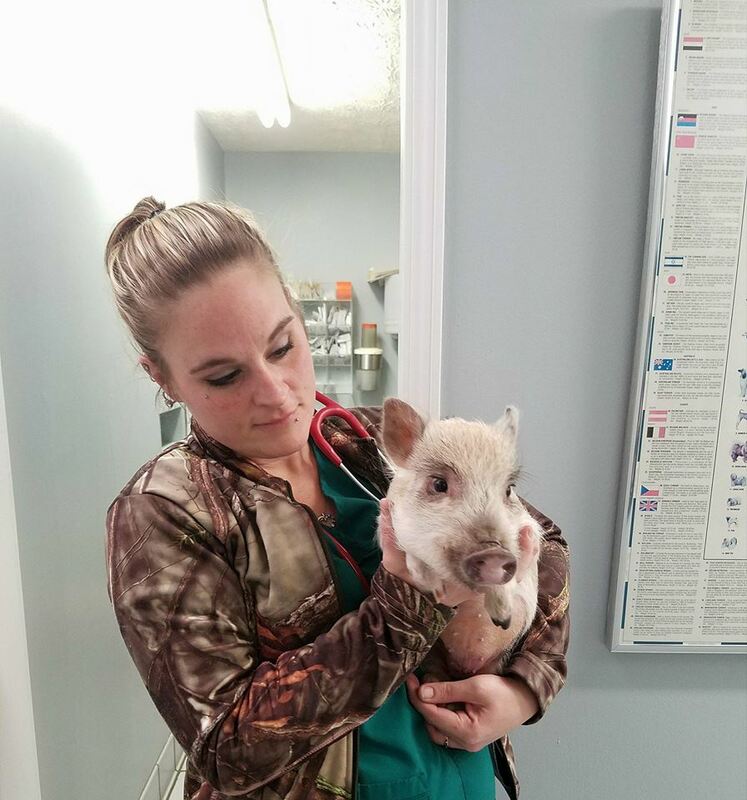 Previously employed at the Tri State Animal ER in Ceredo, WV as well as working in a mixed animal practice in West Liberty, KY before going into business on her own, she has a special interests in surgery, as well as internal and emergency medicine. She has experience with a wide array of animals, including small animals as well as exotics and pocket pets. Her interests include reading, relaxing with her five canine companions and three cats, as well as kayaking and hiking. Jaclyn Raney is probably the first friendly face you see or voice you hear when you call into the clinic. 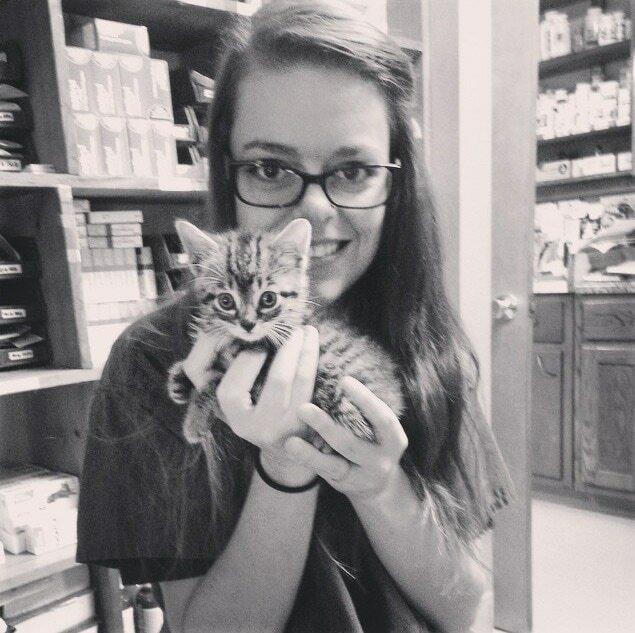 As receptionist and veterinary assistant, she is irreplaceable on our work team! Jackie is an Ashland, KY resident and enjoys running, campimg, spending time with her family. Our helpful and friendly staff will be the first to greet you on your visit to the clinic, and will be more than happy to assist in appointment scheduling as well as answering any questions that they can. Michelle Kidd is a veterinary technician who always does herbest to win your pet's trust and soothe any nervousness they may have about being at the doctor. She is a mom of three and has been in the business ten years. In her spare time she enjoys music, horseback riding, and just relaxing with her furbabies. Yvette Massie joined the Pawsitive Pet Care Team crew in February 2018 as a veterinary assistant as she finishes vet tech school and enjoys all animals-with a soft spot for exotics! She and her husband have three children with one on the way and enjoy family time. She has bearded dragons and a Chiweenie. We are fully equipped to handle most elective, non-elective, and emergency procedures. We perform both orthopedic and soft tissue surgeries, as well as offering pain management afterwards for the continued comfort of your pet. We offer complete diagnostic testing. *Ask about our boarding packages for vaccinations, as well as multi-boarder discounts! We maintain a complete inventory of pharmaceuticals, vitamins, shampoos, heartworm preventatives and flea and tick preventatives. The decision to euthanize your beloved pet is difficult and emotional. We can offer guidance and support and should you choose to euthanize, we will provide a dignified and respectful experience for you and your pet.